Martiros Manoukian, "Always Together" Limited Edition Serigraph, Numbered and Hand Signed with Certificate. 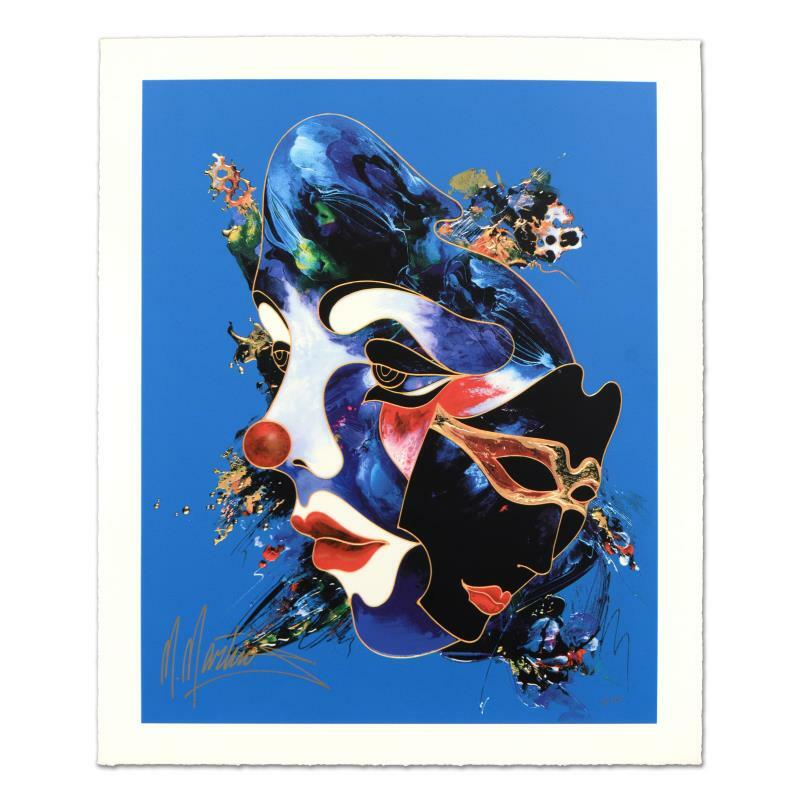 "Always Together" is a limited edition serigraph on deckle edge paper by Martiros Manoukian, numbered and hand signed by the artist. Includes Certificate of Authenticity. Measures approx. 28" x 34" (with border), 24" x 30" (image). 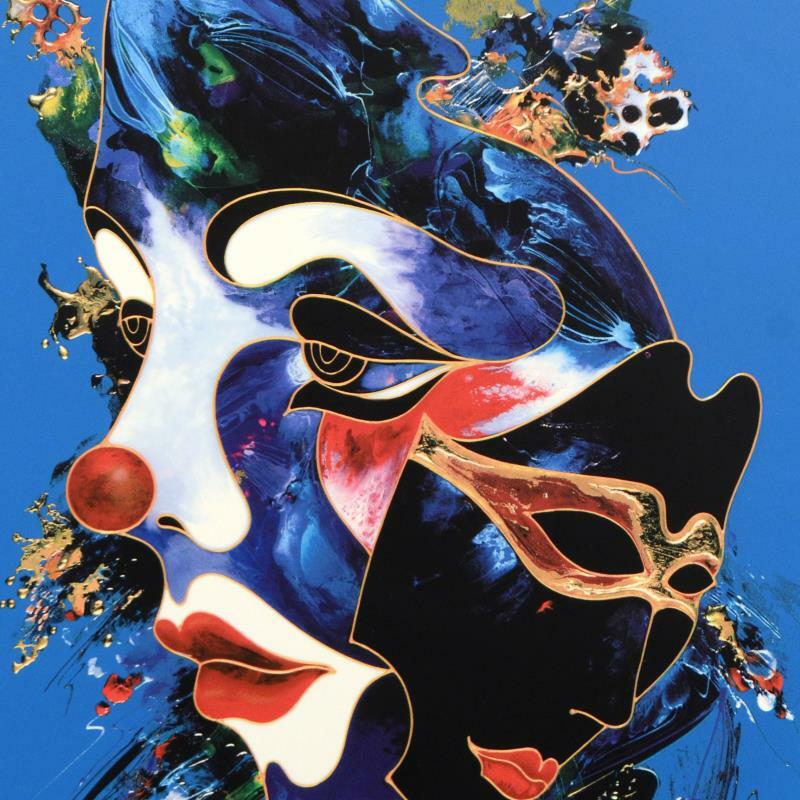 Born in 1947, Martiros Manoukian is a contemporary Armenian-American artist whose story elucidates the experimentation and ultimate mastery of principles, rules, and traditions - which govern the very conception of Modern Art mediums and techniques. Martiros' extraordinary abilities as an artist were evinced early on in his adolescence. His paintings were put on exhibition at the young age of eleven. As a youth, he was immersed within the classical culture of painting. He traveled extensively to museums throughout Europe with wanderlust, in order to visit and appreciate the works of preceding grand masters. These great masters were his inspiration; his teachers. Although Martiros has a defined style which has emerged as a subculture of the modern art world, it is not concentrated on a single musing or typography—rather, it is defined by fantasy, enchantment, and temptation of eternity. The artist attempts to encapsulate his artistic range, unparalleled by any of his contemporaries, producing exquisite renderings of portraiture, still life, landscapes and mixed media.